Having car problems is always a headache no matter who you are. That’s why you need a good mechanic you can trust. That’s why there’s Southern Motor Works. When it comes to auto repairs, most people want a few simple things. First, we all want an affordable mechanic. No one wants to feel like they have to take out a second mortgage to pay for car repairs. That’s why there’s Southern Motor Works. Next, we all want a mechanic we can trust. It may be a perception, but it seems there is always someone out there trying to take our money. Taking your vehicle to the dealer is a great option if you want to pay as much as possible. Lastly, we want the work done right. We all need a mechanic that knows his stuff and will give us a straight answer. The best mechanics will explain things in plain English and work with us to help decide the best option for our vehicle and our budget. For more than 12 years, we’ve been taking care of our customers in and around Duluth and the surrounding areas like they’re family. 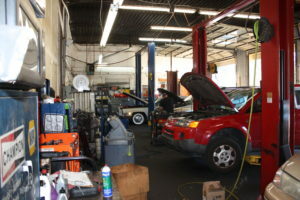 We know that there are plenty of options when it comes to local auto repair shops. That’s why we work hard to prove ourselves with every care we work on. We figure we’ll build a great reputation one vehicle at a time. It’s time to stop asking your phone, “Where’s a good mechanic near me?” Schedule an appointment with the mechanics at Southern Motor Works today. Our techs will diagnose what’s wrong with your vehicle and give you an honest assessment of what’s going on. We’ll let you know exactly what it will cost to make the car repairs. We’ll give you a time frame where we can make the auto repairs and partner with you to help you make the best decision for your vehicle and your budget. Basically, if it affects the way your car runs, our mechanics can handle it. Since they’re so many different types of Japanese cars, years ago, it became essential for us to perfect our techniques on a variety of different brands. We’ll work on your from Honda, Nissan, Toyota, Mitsubishi, Acura and more. When you bring your Japanese make and model vehicle to Southern Motor Works, you can rest assured that your car is in the best hands with our mechanics. 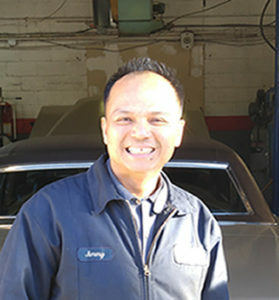 Jimmy Tran took over the auto shop here in Duluth 12 years ago and has worked hard to build up and maintain his current list of clients. He presently services over 600 clients at that location alone. Why so many? Because his mechanics are simply that good! Once you find an honest mechanic, you tend to keep them! Jimmy is a hands-on owner-operator. When he’s not working on cars himself, he’s out in the community working to build relationships. He is an active and well-respected member of the Gwinnett Chamber of Commerce. He loves to give referrals and enjoys giving back to the community any way he can. 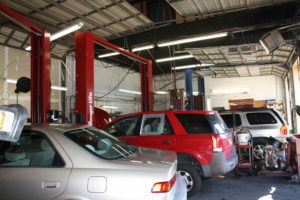 We have 7 lifts and repair bays that always seem active, but we can always make time for your vehicle. Whether you have a car or truck, we specialize in affordable auto repairs. There are dozens of auto shops nearby. 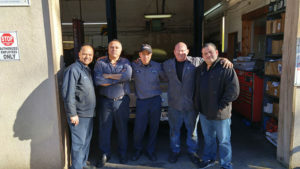 When it comes down to it, it’s important to work with mechanics that you trust and that understand that they need to continue to earn your trust every time. That’s Southern Motor Works. When you leave Southern Motor Works, we want you to feel comfortable that you will get the best car repairs in Duluth or anywhere for that matter. Our first goal is to use the highest quality parts in the market, but we’re also willing to explore other options if there are budgetary issues. Sometimes refurbished or used parts can work out just fine to get you back on the road. Either way, we’ll help you decide. Our mechanics partner with you to help you decide what’s right for your vehicle. People bring their vehicles from all around Gwinnett County. Besides being a local auto repair shop for everyone in Duluth, people bring us their cars for service from Buford, Lawrenceville, Sugar Hill, Norcross, and Suwanee. Call the auto mechanics you can trust!